In December Northern Ireland hosted the 2017 UK-China Regional leaders Summit. This was the third leader’s summit and the first to involve a devolved administration and the provincial governments in China. 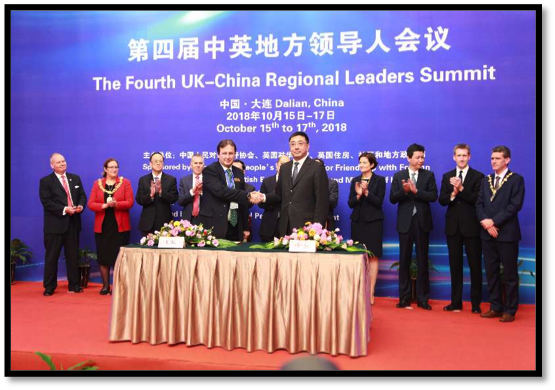 In 2015 Prime Minister DavidCameron and President Xi Jinping agreed to promote a Regional Leaders Summit to encourage decision making at a local level which would develop international programmes with practical outcomes suiting those regions. The outcomes would be economic, education, research and government policy focused. Executive Ministers agreed to the NI Bureau China’s bid to host the third summit. Targeting regions in China to build mutually beneficial partnerships is akey aspect of the Executive’s strategy for China and since the Bureau started operations a lot of our work has been on building up those local relationships. The Chinese government has been very supportive of this strategy and they and the FCO agreed to the Bureau’s proposal. Initially we hoped to have 35 senior Chinese government representatives and 30 business and university organizations participate but in the end we hosted 103 Chinese delegates – 65 government representatives and 38 from business and academia. This was the largest regional leaders delegation to visit the UK and consisted of Vice Governors, Mayors and Director Generals from Liaoning, Hubei and Jilin provinces, Shanghai, Shenyang, Dalian and Changchun cities as well as the central government China Friendship Association and the National Development and Reform Commission. To try to put the significance of this visit in to perspective, the leaders visiting us are responsible for managing the finances and making the economic decisions regarding trade, investment, health and education policy for over 155 million people. The NI Bureau China, Invest NI and The Executive Office worked together on the management and delivery of the Summit bringing together our international best practice in government policy, businesses and university excellence. We are also indebted to all our friends in Hanban and the Confucius Institute with over 50 of their volunteers supporting the summit and providing information and interpretation for the delegations. The Northern Ireland Assembly hosted delegates for a welcome reception where our guests met with civic leaders and they were also very impressed with the Great Hall at Parliament Buildings and the rendition of Chinese folk songs from the Confucius Institute trained choir from Millburn and Grosvenor schools. Leaders from NI political parties met with the Chinese delegates and confirmed their support for the developing relationship with China. The Summit conference at the Waterfront Hall was opened by David Sterling, Head of the Northern Ireland Civil Service and Mr. Song Jingwu, Vice Presidents of the Foreign Ministry’s International Friendship Association. The theme chosen for the summit was ‘ Cooperation Between Industrial Regions’ and in fitting with this theme the government delegates stayed at the Titanic Hotel and visited the Titanic Museum as well as touring industrial investment zones. A number of specific economic sectors discussed at the conference and identified as having the most potential for practical outcomes at this stage were agri-food security, innovation, health technology and services, creative industries. Experts from Queens University and Ulster University as well as our internationally focused businesses supported our public sector presenters to outline government policy, university excellence and business implementation in these sectors, also identifying a number of potential areas for collaboration with China. The Chinese leaders presented their region’s work and experience in these sectors and also their plans and objectives for the future which could lead to collaboration projects and economic opportunities with NI. One of the NI Bureau China’s objectives is to develop productive city partnerships and as part of the summit Belfast City Council hosted their sister city of Shenyang and we arranged for Chinese delegations to meet with council leaders from Derry & Strabane, Newry & Mourne to examine areas for future collaboration. 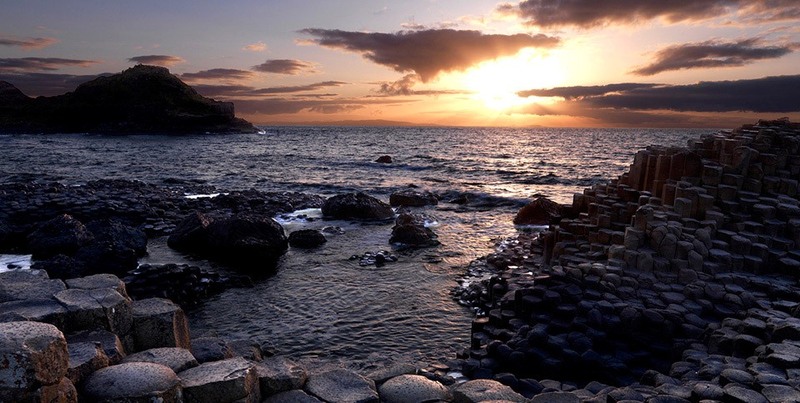 A key aspect of developing relationships with Chinese regions is to provide some insight into other aspects of life in NI and this included visits to the Titanic Museum, the Giants Causeway as well as the opportunity to walk around the cities of Derry/Londonderry and Belfast. The Summit was an opportunity to raise our profile internationally and to strengthen our relationship with the second largest economy in the world. For the Chinese leaders and business people to commit their time and resources to visit us they want to see where there are opportunities for mutual benefit. Securing the Summit for NI was an important achievement but the real importance is what we do with it and how we deliver outcomes from the Summit. The NIB China and the Chinese Consulate in Belfast will follow up on the opportunities identified and will plan future programmes, including sector visits, looking at developing joint projects, economic and investment opportunities for businesses and the implementation of civic and university partnerships. Plans and preparations for the Regional Leaders Summit took up most of the Bureau’s time and resources over the last year but work continued on a number of important areas. Securing market access for our pork producers was also an important achievement over the last period and the NIB China continues to emphasize the importance of our agriculture and food sectors to China. Our activities here over the last period included presentations on NI modern agriculture and food safety to the China Agriculture Universities annual conference in Xingtai. As well as presenting on our agriculture and food safety programmes the conference provided the opportunity for a series of one to one meetings with government officials, university partners and Chinese businesses. Ulster University visited Beijing and Wuhan in November to promote sporting connections and to further develop academic research programmes with universities. UU were supported by the Confucius Institute to bring their GAA team to China to promote sports training and sport in the community. NIB China worked with Professor Ian Montgomery on a series of meetings with key academic and research stakeholders in Beijing. The UU team also visited the Beijing National Vocation School, a college for young people from disadvantaged communities. The School gave the UU students a presentation on the history on the BNVS including signing at the reception for First Minister Arlene Foster in Beijing in 2016.The UU team gave demonstrations of GAA sports and involved the BNVS students in some coaching sessions. Professor David Rooney, Queens University Belfast’s China Envoy invited the NI Bureau to meet the next generation of leaders in engineering from the UK and China met in Beijing as part of a programme to develop new technical and creative skills that will help them to solve global challenges. 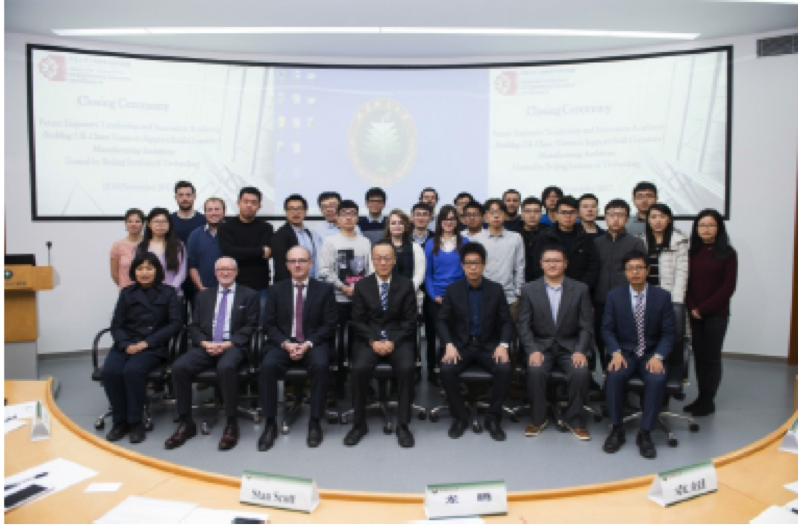 The students were taking part in the Future Engineers’ Leadership and Innovation Academy, which was developed through the UK-China University Consortium on Engineering Education and Research (UK-China UCEER)and aims to build UK-China teams to support both countries manufacturing ambitions. The Consortium was established over the past six months with seed funding from the UK Department of Business, Energy and Industrial Strategy, and led by the British Council in China. Initially, the Consortium is focusing on innovative technologies in intelligent manufacturing and sustainable energy that will help reduce greenhouse gas emissions as both countries transition to a low carbon economy. The Consortium is the first of its kind to partner leading UK universities with the top engineering research institutions in China. It is led by Queen’s University Belfast and Southeast University (Nanjing) and is made up of six UK universities and nine universities in China. The Bureau has worked with China’s Centre for Urban Development to exchange information on developing policy for regeneration as well as meeting with organizations and businesses responsible for investment, developing technology solutions and urban – community planning. We were invited to deliver a presentation at the Smart Cities and Innovation Annual Conference on Infrastructure for Knowledge Economies and Connected Communities. 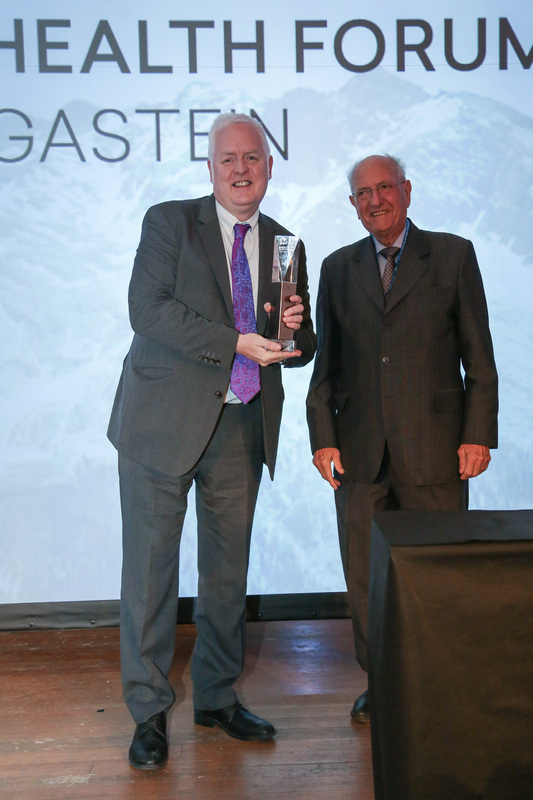 The conference provided the opportunity to raise NI’s profile as a knowledge economy and also to highlight the NI businesses and organizations involved in developing technology. We had follow up meetings with a number of infrastructure investment organizations as well as government bodies who visited NI during the Regional Leaders Summit. Neill McIvor, from the Strategic Investment Board accompanied these delegates on a tour of city infrastructure projects at the Summit and provided an overview of NI regeneration programmes. The health sector is an opportunity for exchanging best practice that will have a positive effect on our citizens and also provides economic opportunities for companies and research opportunities for our universities and institutions. The Bureau was invited to speak at the China Connected Health conference which also included an exhibition for companies and products providing solutions on all aspects of health and healthy living. Our presentation focused on some of NI’s areas of excellence as well as research areas where we are considered best in UK. 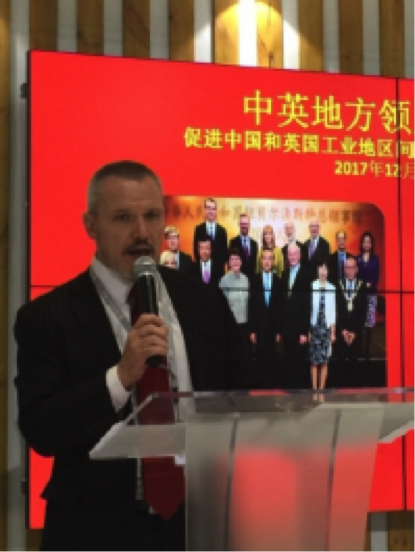 The European Connected Health organization, which includes many NI businesses, sponsored a number of sessions at the conference and they also presented on elderly care support to the Chinese delegates at the Regional Leaders Summit in December. Economic development is a primary focus of the NI’s activities in China. 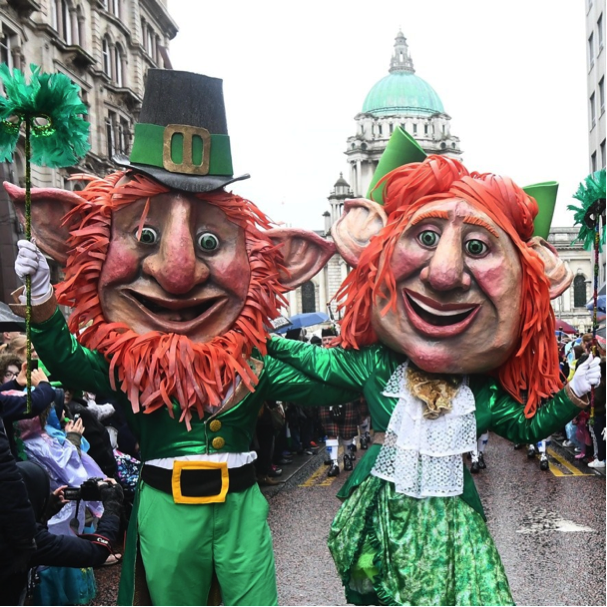 Along with Invest NI we work with the Department for International Trade to identify opportunities for NI businesses and to promote NI as a place for investment and economic cooperation. 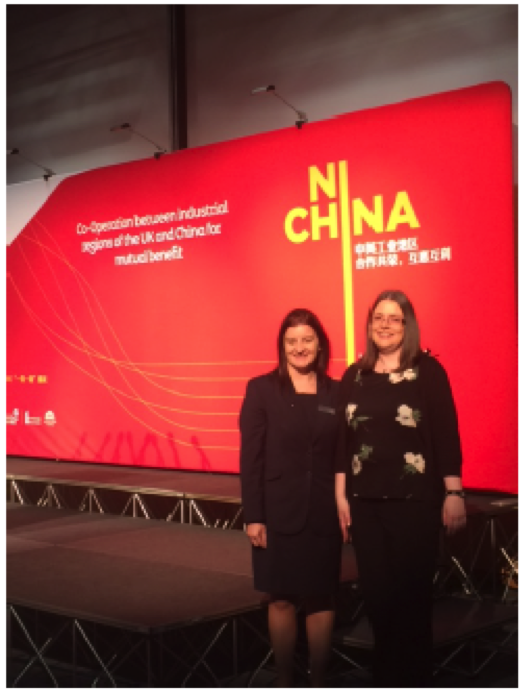 The China International Industry Fair in Shanghai was the opportunity for us to present the NI Executive’s strategy for China and Invest NI to focus on some of the sectors of interest for foreign direct investment. This was the first time NI has participated in the CIIF event but a useful opportunity for us to raise NI’s economic and business profile alongside other devolved administrations, Northern Powerhouse and the Midlands Engine. LAUNCH OF PURE ROAST COFFEE IN CHINA. The Bureau and Invest NI attended the launch of Lisburn business, Pure Roast Coffee, first coffee Martin Symington, Pure Roast Coffee, CEO had signed the formal agreement with Mr Han of China Resources at the UK China Regional leaders Summit in Belfast. The coffee shop is the first to open in the prestigious Ole supermarket chain with plans to expand the shop and to sell Pure Roast Coffee some of Ole’s other 600 supermarkets in China. ..and finally. February 16th is the Chinese New Year and this year it is the Year of the Dong. If you were born in a dog year- 1922,34,46,58,70,82,94,and 2006 your strengths are: courage, loyalty, intelligence and responsibility. Your weaknesses are: sensitive, conservative, stubborn, and emotional. Lucky numbers for Dog people are 3, 4, and 9 and your lucky colours are green, red and purple.